Security is important to everyone and an alarm provides that. 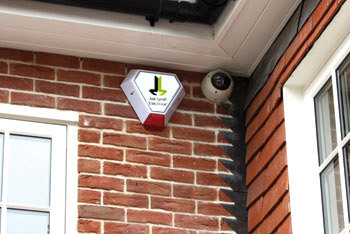 We offer installation on full alarm systems to replacement panels, sensors and bell boxes. We deal with all makes and models of alarms so no matter how old we can replace or repair the burglar alarm. All systems are installed to your requirements so all area’s are covered by a sensor or door contact, we can even install a keypad by the main door and install the panel out of sight in an airing cupboard. Upon request, diallers can be fitted so that if the alarm ‘goes off’ it will dial your land or mobile number notifiying you the alarm has been activated, normally this is for commercial customers but not uncommon for households. So whether it’s your home, business or commercial building that needs a security alarm, please call to assess your needs and for a free quotation – 087 241 9345. © 2017 Joe Lynch Electrical, Dublin Electrician. All Rights Reserved.